This rig is the simplest of the paternoster family and generally used in clear ground situations - the rule being more hooks carry more bait and catch more fish. The term flapper refers to the fact that the hook snoods hang loose and flap during the cast. 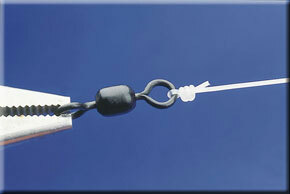 Clips can be added to hold the bait and snoods close to the rig’s main bodyline to improve the aerodynamics. We will show the three-hook clipped trace later in the Big Rigs series. The large scent trail and a chance of catching more than one fish every cast makes the three hook flapper the ideal rig for match fishing, or for whiting, pouting, coalfish, pollack, dabs and codling when casting range isn’t critical. 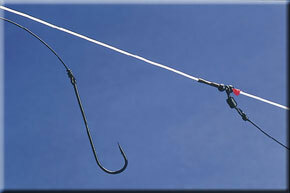 It is a great rig choice to keep the action going in February. The rig’s length can be varied to suit venue or conditions. A 3ft rig is ideal for fishing piers because it puts the baits closer to the sea bed. A short rig with short snoods casts better. A longer 6ft-plus rig spreads the baits over a larger area and is the ideal choice for surf fishing. 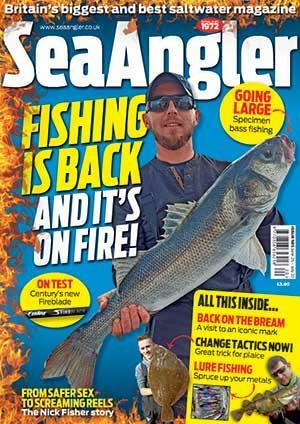 The addition of coloured or floating beads and sequins as fish attractors is optional. 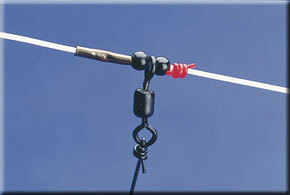 This rig can also be constructed using wire or plastic booms for fishing at close range for flounder, or alongside a pier wall for pollack and scad. The formula for trace body line is 10lb mono for every ounce of lead cast. A 5oz lead weight would require 50lb line as a minimum, plus 10lb extra for security, making it 60lb. Snood line breaking strain can depend on the season. Use 25lb in winter to counter teeth of small fish and the harsh environment. It also tangles less. In summer you can try lighter line, especially when fishing in clear water. ● If fishing at short range from high venues, such as piers, remember that the top hook is likely to be lifted off the bottom by the angle of the mainline. Make the top and middle snoods longer than the bottom snood to allow for this. ● Beads or sequins, right, can be held in position on the snood by adding a bait stop above them. Make these from 1cm length of silicon sleeving. Pass the line through the sleeving twice and then pull the line tight to form the stop. This can then be moved up or down the snood to hold the beads etc in the position required. 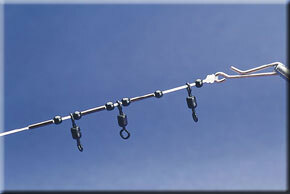 ● Using 60lb-plus mono for the rig body allows it to be re-used simply by renewing the hooks and snoods.